In 1961, the Federal Maritime Board regulatory functions were assumed by the newly created Federal Maritime Commission, while the subsidy functions were assigned to the Maritime Subsidy Board of the Maritime Administration. 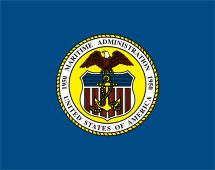 On August 6, 1981, MARAD came under control of the Department of Transportation thereby bringing all transportation programs under one cabinet-level department. 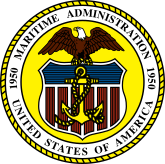 MARAD administers financial programs to develop, promote, and operate the U.S. Maritime Service and the U.S. Merchant Marine; determines services and routes necessary to develop and maintain American foreign commerce and requirements of ships necessary to provide adequate service on such routes; conducts research and development activities in the maritime field; regulates the transfer of U.S. documented vessels to foreign registries; maintains equipment, shipyard facilities, and reserve fleets of Government-owned ships essential for national defense. Students at these academies can graduate with appropriate United States Coast Guard licenses (Mate or Engineer) if they choose to take the Coast Guard License exam, and may become commissioned reserve officers in any branch of the service when graduating from USMMA or a ROTC scholarship from one of the other maritime schools. The Maritime Subsidy Board negotiates contracts for ship construction and grants operating-differential subsidies to shipping companies. The Maritime Security Program (MSP) authorizes MARAD to enter into contracts with U.S.-flag commercial ship owners to provide service during times of war or national emergencies. As of 2007, ten companies have signed contracts providing the MSP with a reserve of sixty cargo vessels. United States Merchant Marine, the U.S. merchant shipping fleet. United States Maritime Service, a training organization for the U.S. Merchant Marine. ^ "Maritime Security Program (MSP)". MARAD. Retrieved August 3, 2007.